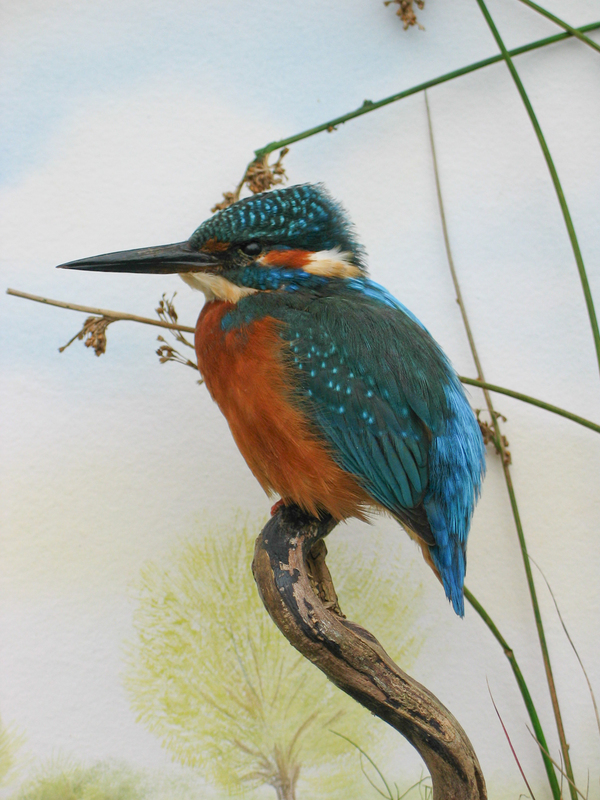 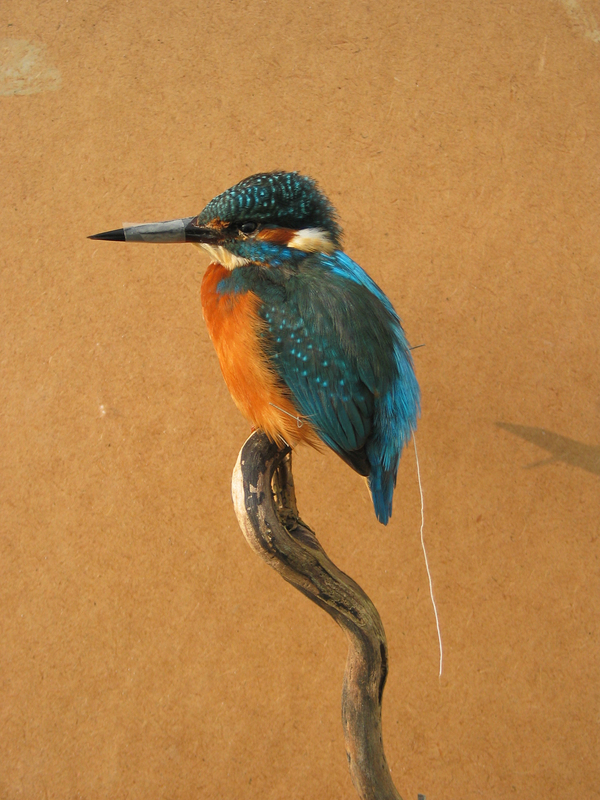 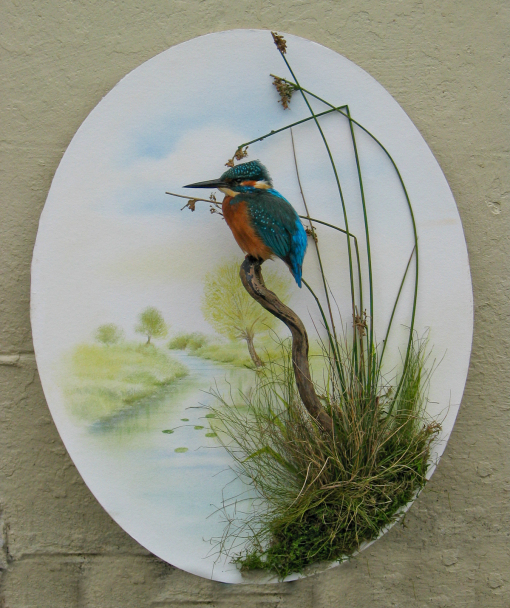 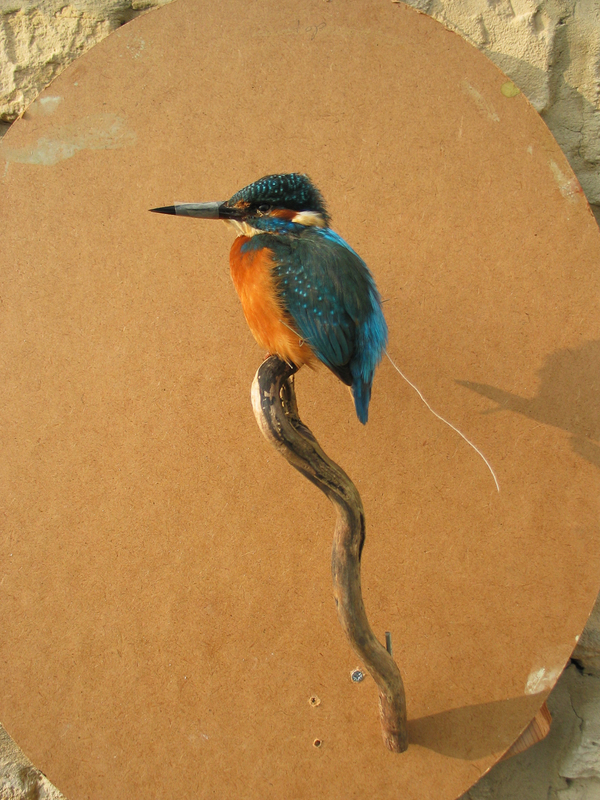 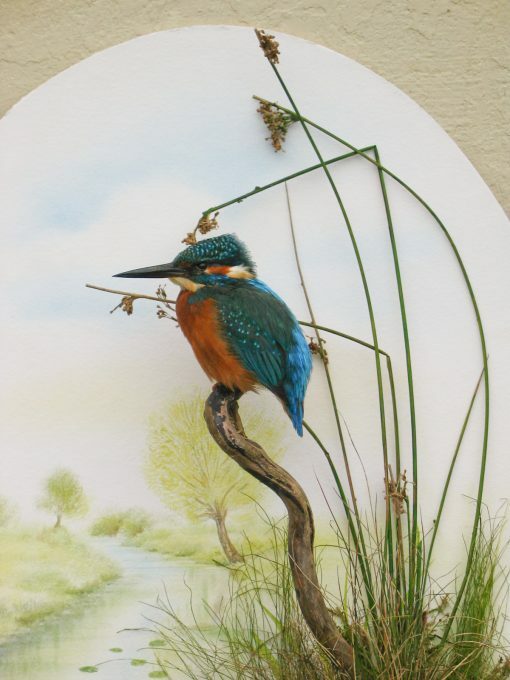 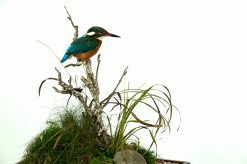 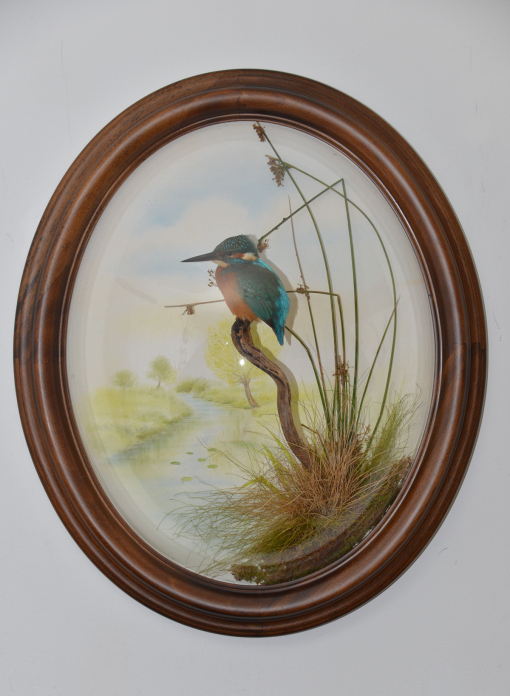 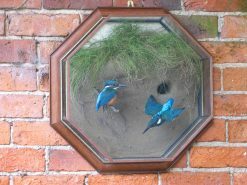 This is a Kingfisher I mounted in a wall dome with a painted background by Colin Woolf I still like this and that is quite surprising for people who know me, but it is only from a distance and one angle. 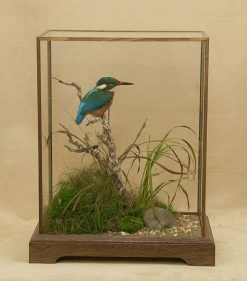 Kingfishers (Alcedo atthis) are a much loved bird in the UK sadly the most common cause of death for these lovely birds is WINDOWS I have seen a liking for larger widows even glass walls in gardens, if a bird can see a pathway through a window it may take this with disastrous consequences for the bird. 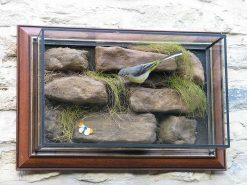 Try and reduce the risk and please no glass walls in gardens!